Weekend afternoons are well spent while having a relaxing brunch at one of your favorite breakfast stops, and that has to be one of my most favorite weekend excursions. 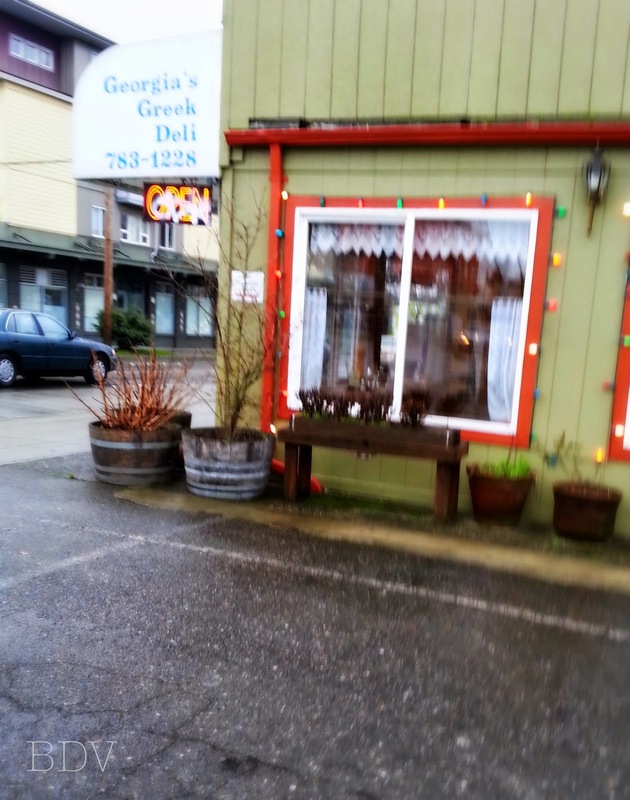 For me, my favorite brunch stop would be the unexpected Georgia's Greek Restaurant & Deli in North Seattle. Once featured on the Food Network's, Diners, Drive-ins, and Dives, its Greek charm hasn't subsided with its quaint and artistic interior and delicious food. The food here is nothing short of tasty. Order a classic omelet, or one made with loukaniko, a Greek sausage. 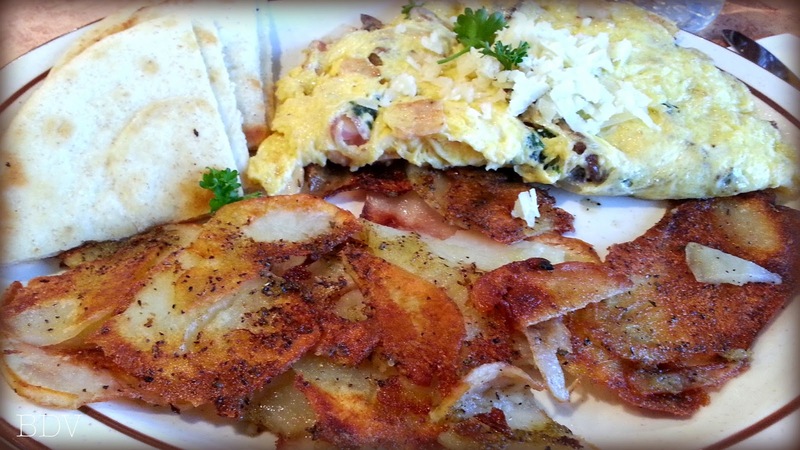 I recommend trying the Katerina's omelet: made with chicken gyro meat, olives, and other delicious ingredients. They even use classic goat-milk based cheeses. 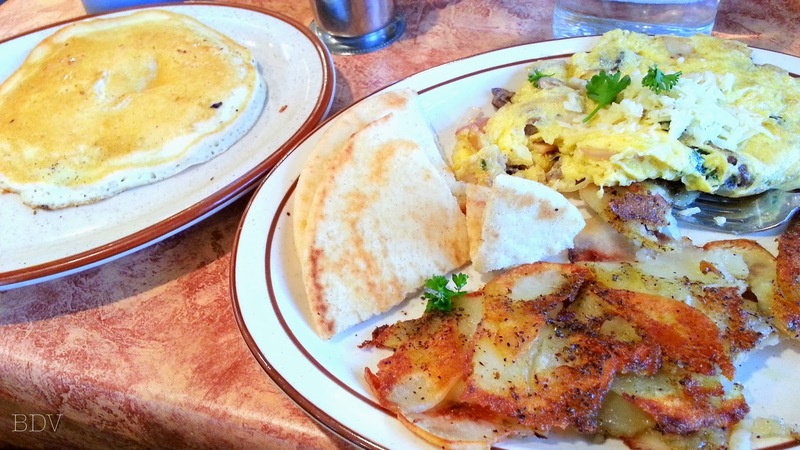 Along with a filling omelet, you can get a warm pita and a side of fried potatoes, crisped and seasoned to perfection. If you are craving something more on the sweet side, order a single pancake. Theirs are so fluffy and have a slight crisp to the bite. Pair it with their quince preserves and your mouth is in Heaven! It is on my 'bucket list' to visit Greece as my next European trip, however far away in the future that may be. For the time-being, I'll go and visit Georgia's for a Grecian trip here in Seattle. Katarina's Omelet: chicken gyro meat with olives and cheese. Green potatoes and pita. Delicious pancake - crispy and fluffy. They make the best pancakes I've ever had. I get one every time I come here... yes, they're that good. 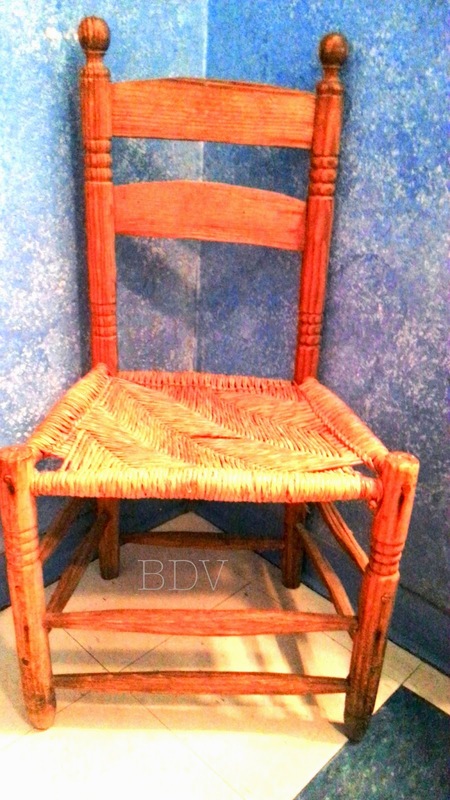 The cutest wood chair that sits in the ladies' room. What are your favorite brunch places and what do you order there? I always have a hard time selecting dishes since I always want something sweet and savory.